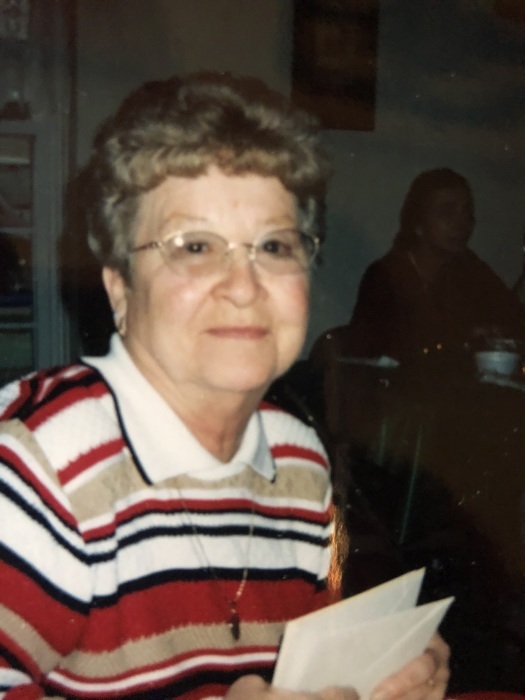 Obituary for Faye Joann Mercer | Wellman Funeral Homes, Inc.
Faye (Joann) Mercer, 83, passed away on April 14th at her home surrounded by her loving family. She was preceded in death by her loving husband Bill Mercer, her parents Guy and Goldie Woodruff, 2 sisters, Ruth McCain and Betty Fritch and brother, Guy Woodruff. She leaves behind her daughter Cindy (Rich) Huffman, son Bill (Robin) Mercer, grandchildren Heather and Cole (Bess) Huffman, step grandchild and great grandchild Sonya and Brianna Vasser. Joann was the founder and the “Grandma Faye” of Grandma Faye’s Grocery near Old Man’s Cave. She loved life and prior to the past years could be found at the senior center playing bingo or going to swimming therapy with her friends, and she was always up for a trip to the casino to play slots. She will be greatly missed by her family and everyone who knew her. The family would like to thank Fairfield Medical Center for all the care and compassion for her during the past year. They also thank Hospice of Central Ohio for the comfort provided at home. Visiting hours will be Wednesday, April 18th from 4-8pm at Wellman’s Funeral Home in Laurelville, Ohio. There will be remembrances shared starting at 7:30 p.m. Online condolences may be made to www.wellmanfuneralhomes.com.